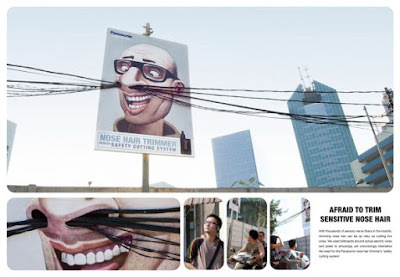 How do you draw attention to a mundane product like nose-hair trimmers? Make fun of the surroundings. Wish there were more adverts like this that makes us laugh and smile and adds a highlight to our day. Clever, imaginative idea and great use of art direction; love the 'comic' and humorous feel.